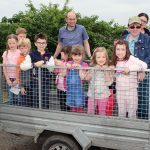 Participating in their third Bank of Ireland Open Farm Weekend this summer will be Long Meadow Farm. 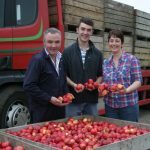 This is a family-run apple juice and cider company located on the outskirts of Portadown. 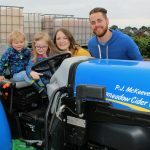 The McKeever family have been growing apples at Long Meadow Farm for three generations and as the result of the family’s passion, hard work and dedication, they have produced award winning products From Plant to Pour. 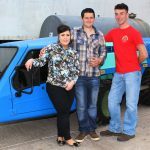 The business, which was established in 2013, has grown from strength to strength and is blossoming with success. 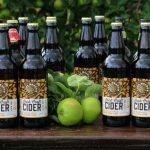 Both the Long Meadow Medium and Blossom Burst Craft Cider were given gold star status (both in 2014 and 2015) the UK’s most important taste competition organised annually by the UK Guild of Fine Food. This is just one of the many awards and successes the company has achieved since its official opening in December 2013. Not only do their ciders tickle your taste buds but they can also be used during cooking. 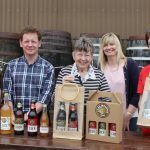 The family often cook with their cider (a Christmas ham tastes deliciously different boiled in their limited edition Oak Aged Cider) and local chef Paula McIntrye has even used Long Meadow Cider’s Blossom Burst to make custards and sauces! 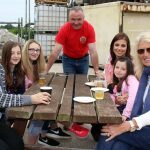 When you visit the farm, there will be the opportunity to taste some fresh apple juice and, if the legal age, some cider! 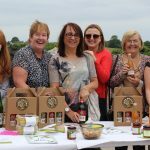 Some produce will be available to purchase on the day also so that you can take the experience home with you to share with friends and family. 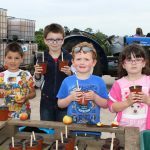 There will be lots for kids to do with a treasure trail through the orchard, arts & crafts activities and some fun farm related games. 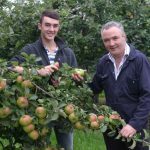 There will also be tours of the orchard throughout the weekend. 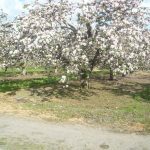 Families are welcome to bring a picnic and enjoy it out in the orchard amongst the lovely blossomed trees. There will also be a pig-on-the-spit cooked by Kennedy Bacon and free ice cream. 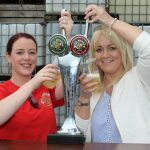 Address: Long Meadow Farm, 87 Loughgall Road, Portadown, Co Armagh, BT62 4EG.